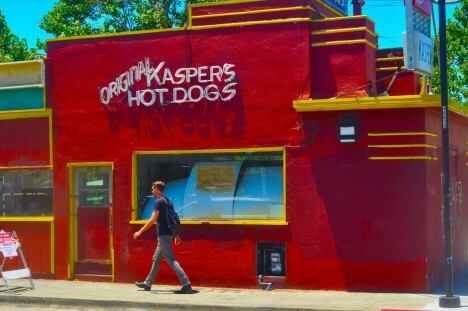 Easy come and easy go (just like their product), hot dog stands like these abandoned frankfurter kiosks are the fly-by-night black sheep of the fast food trade. 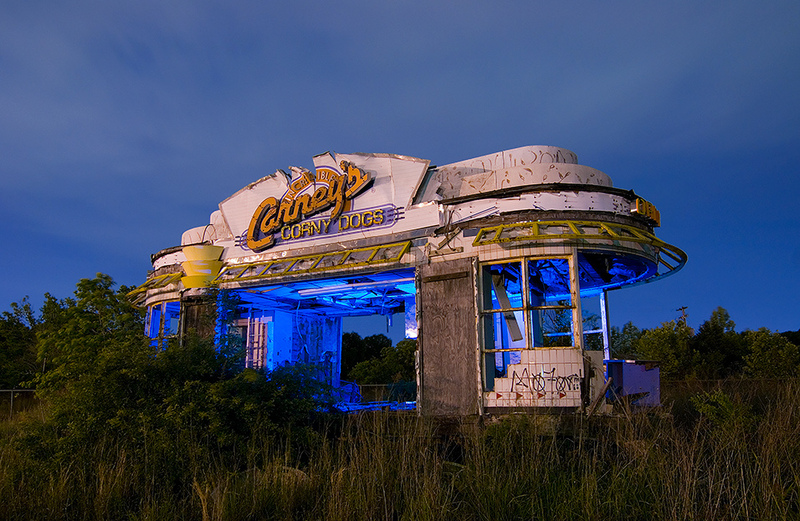 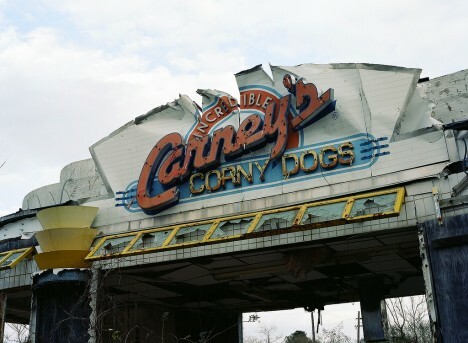 Now gone but not forgotten thanks to the wonders of photography and the internet, the abandoned Carney’s Corny Dogs stand (images c/o Noel Kerns above and Steve Snodgrass below) stood unloved and unappreciated long after the last piping-hot, mustard-swathed frank was served. 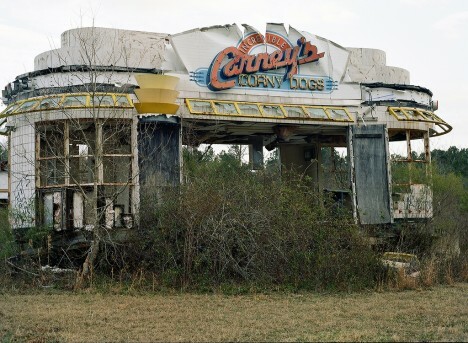 For better or worse, images of the decrepit kiosk were for a time the most popular photos taken in southwest Shreveport, Louisiana. 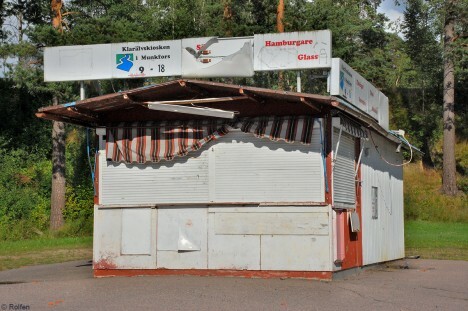 Standing alone and neglected with its skewed striped awning flapping in the breeze, this squarish hot dog stand in Munkfors, western Sweden appears to be closed for the season… wait a minute, it’s mid-July of 2008 according to Flickr user Rolfen – that IS the season! 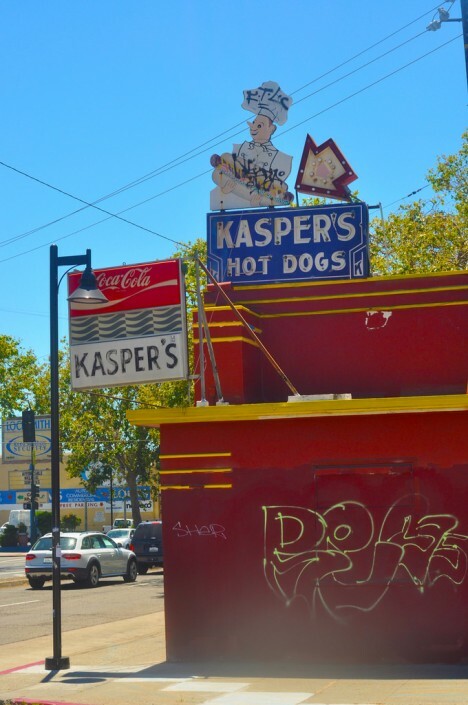 Perhaps the unfortunate closeness of “hamburgare” and “glass” on the sign tended to put off potential customers. 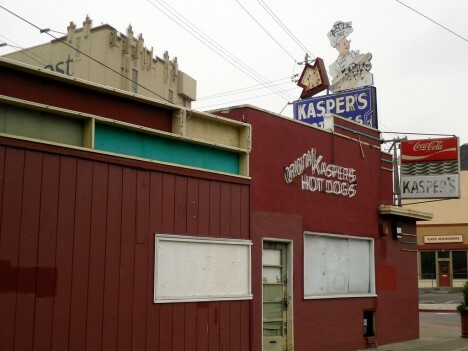 Established in 1929, Kasper’s Hot Dogs in Oakland’s historic Temescal neighborhood was closed to perform temporary maintenance… in 2004! 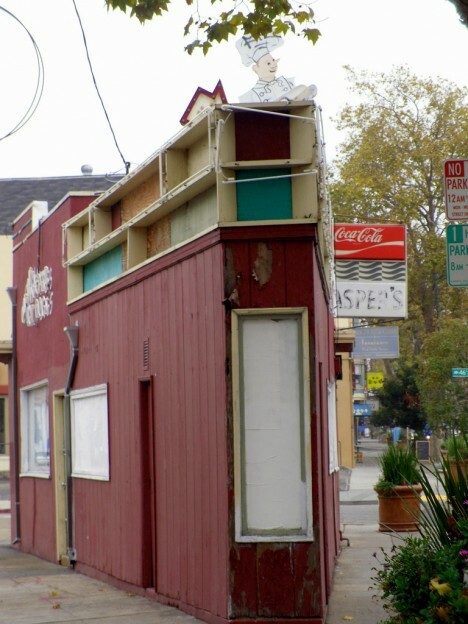 Hopefully city authorities will find some way to preserve the unique flatiron-style structure from the wrecking ball. 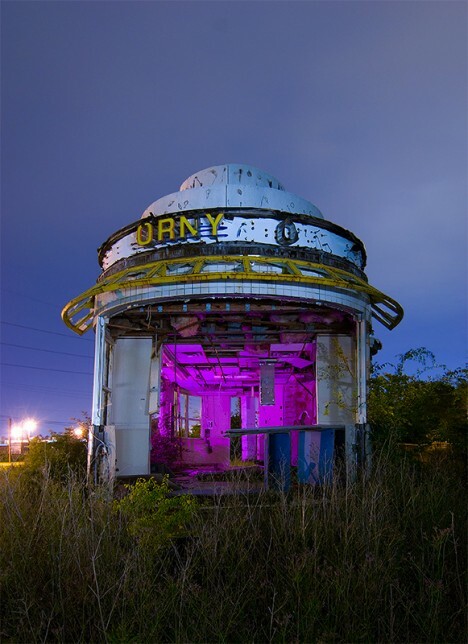 Kudos to Flickr users Ian Ransley and japanesejack for the above images taken in 2014 and 2010, respectively.